Hi my name is Anita. 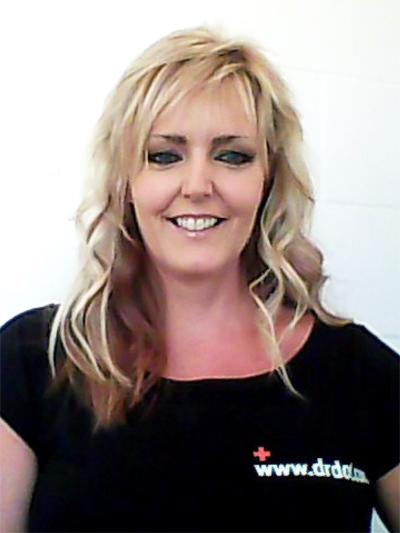 I am a fully qualified Beautician and Massage Therapist from Northern Ireland with four years experience, and a diploma in Massage Therapy. I own a private business in beauty and massage with an established client base, where I strive to exceed my client's expectations, bringing them back time and time again. I feel privilaged to be part of the Dr. Dot team, extending my skills to bring you to a place of relaxation in a high pressure environment. I am flexible with when I am available for you, and I have excellent interpersonal skills and high standards of professionalism. I offer a variety of massage to suit your needs: Swedish; Aromatherapy; Hot Stone; Indian Head and Deep Tissue. I understand how each massage can bring about healing and restoration, so let me guide you to provide a personalized massage applying 'just' the right pressure for you. reduce muscle tension release endorphins promoting healing in the body increase blood and lymphatic flow calming the nervous system relieve mental and physical stress help promote restful sleep It will leave you feeling refreshed and rejuvenated to help prepare you for anything that modern life will throw your way. My aim is for you to feel like the world has lifted off your shoulders, harmonizing the essential connection between your body and your mind. Please contact the Dr. Dot team to make a booking and ask for Anita.